We will not have a class April 7th because of Spring Break. We will resume class again on April 14th. Our last class of this session will be May 12th. We will finish the Old Testament next year with classes beginning the first of September. “It was unthinkable, impossible, unfathomable, unprecedented, a single act that changed history, possibility, destiny. He was a carpenter, a teacher, an outcast, a leader; yet He did what no carpenter, teacher, outcast, leader had ever done. Like all who preceded Him, He lived and He died. But unlike all who preceded Him, He rose from the dead. He lived again. He lives and because He lives, you and she and he and they and we all will live again. Because of Him, death has no sting, the grave no victory. We can start again and again and again. Because of Him guilt becomes peace, regret becomes relief, dispair becomes hope. Because of Him, we have second chances, clean slates, new beginnings. There is no such thing as the end – BECAUSE OF HIM. “How much there is incident to the death, burial, and resurrection of the Savior that ennobles and exalts faithful women. They wept at the cross, sought to care for His wounded and lifeless body and came to His tomb to weep and worship for their friend and Master. And so it is not strange that we find a woman, Mary, chosen and singled out from all the Disciples, even including the Apostles, to be the first mortal to see and bow in the presence of a resurrected being. 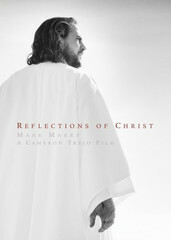 Mary, who had been healed of much and loved much, saw the Risen Christ.” Bruce R. McConkie.